In this era of mass communications, we’ve turned to sending form letters and blind-copied emails to lists of 5, 10, and even 20 or more candidates—all in the name of satisfying the “now” part of that request. As a result, however, communications with candidates have become more impersonal than ever. We, alongside our employers, are the ones who suffer, though. Candidates tune us out or ignore our communications, and the best candidates remain undiscovered and underserviced because we have to do more in less time. 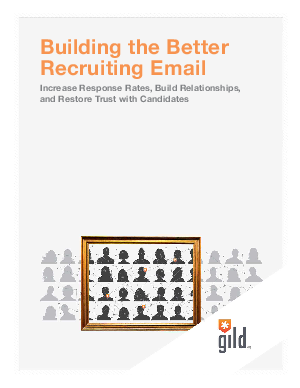 It’s time for a return to better communications skills—that’s why we’ve put together this guide to writing a better recruiting email.